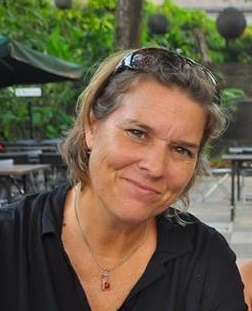 Michelle Elvy lives and works as an editor and manuscript assessor based in the Bay of Islands, travelling this year in Africa and the Caribbean. She is Assistant Editor (International) for the Best Small Fictions series, and was an associate editor of Flash Fiction International (W. W. Norton, 2015). Most recently, she is editing Bonsai: The big book of small stories, with Frankie McMillan and James Norcliffe (Canterbury University Press, 2018). She also edits at Blue Five Notebook and has guest edited at SmokeLong Quarterly. In the southern hemisphere winter each year, you’ll find her coordinating New Zealand’s National Flash Fiction Day. Michelle’s poetry, fiction, travel writing, creative nonfiction and reviews have appeared in numerous print and online journals and anthologies, most recently in Manifesto: A Political Anthology (New Zealand, 2017), Borderlands & Crossroads: Writing the Motherland (Canada, 2017) and Memoirs of the Feminine Divine: Voices of Power & Invisibility (US, 2018). Her work has placed in the Bath Flash Fiction Award and the Nivalis Short Story Award. Some links to recent publications can be found on her website. She has judged writing competitions hosted by Flash Fiction World, the South Island Writers’ Association, the International Writers’ Workshop, the Whangarei Poetry Walk, 2013 NorthWrite Collaboration (with Tim Jones), the NYC Challenge Flash and Short Story competitions and the Bath Flash Fiction Award. In 2018, Michelle can be found sailing on her 43’ sailboat, Momo, her home for fourteen years, in Africa and the Atlantic, en route to completing a circumnavigation that will take her home to New Zealand in 2019. Slowing life to a 5-knot pace, Michelle embraces a less-is-more approach to just about everything. Flash suits. 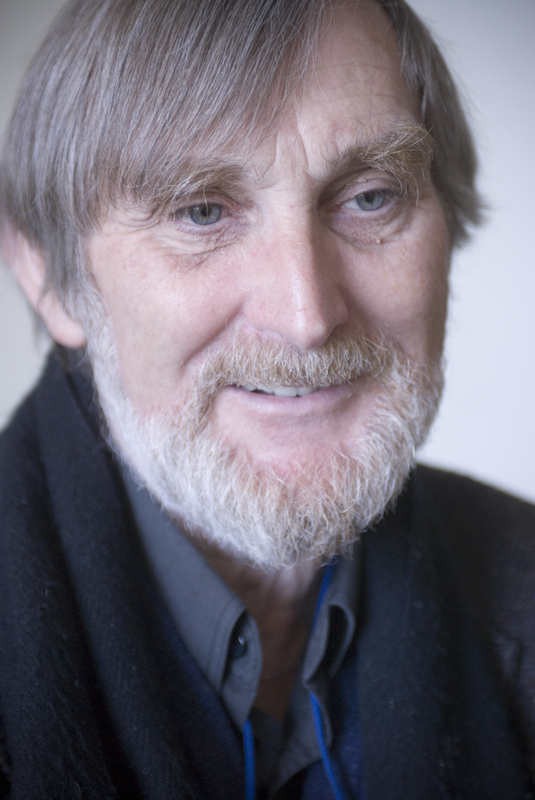 James Norcliffe is an award-winning poet, novelist and short story writer with work appearing in journals world-wide and translated into several languages. His publications include a collection of short stories, eight collections of poetry — most recently Villon in Millerton (AUP) and Shadow Play (Proverse) — and several award-winning novels for young people including The Loblolly Boy (Longacre/Random) and its successor The Loblolly Boy and the Sorcerer (Longacre/Random). His most recent books for young people are Felix and the Red Rats (Longacre/Random) 2012 and The Pirates and the Nightmaker (Longacre/Random) forthcoming 2015.Besides his long list of publications, he also poetry editor for the Christchurch Press. Many readers will know him from his long-time involvement in Takahē magazine. Meanwhile, he has worked more recently, with Harry Ricketts and Siobhan Harvey as editor of the major anthology Essential New Zealand Poems – Facing the Empty Page (Godwit/Random, 2014). Gail Ingram’s poetry, flash fiction and short stories have appeared in journals and anthologies in New Zealand and overseas, including Takahē, Poetry New Zealand, Blackmail Press, Penduline Press, Cordite Poetry Review and Atlanta Review. In 2016, she won the NZPS international poetry competition, was a finalist for Best Small Fictions 2016 and was short-listed in the 2016 Fish Short Story Prize. In 2015, she was nominated by the Editors of Flash Frontier for the Pushcart Prize with her flash fiction, ‘Whispers’ and was runner-up in 2015 Takahē international poetry competition. She has been a member of South Island Writers Association for ten years and was Chair for three. In this time, along with Barbara Strang and Mary Ridge, she started up “Poetic Licence”, an open mic event for National Poetry Day, which has been running successfully for four years now. 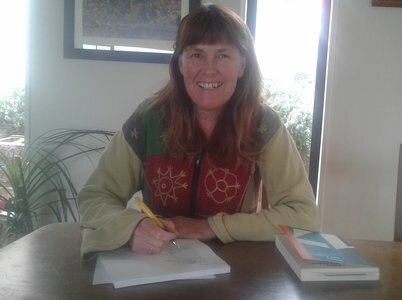 Gail teaches at the School for Young Writers in Christchurch, and last year completed her Masters degree in Creative Writing at Massey University, achieving First Class Honours. For part of her degree she submitted a manuscript of poetry on a fictional graffiti artist, which explores the turbulence of living in post-quake Christchurch and the role art plays on personal, social and political levels. She lives on the rim of a rocky crater in Christchurch with her family, and is establishing a tussock garden to blend in with local skinks. 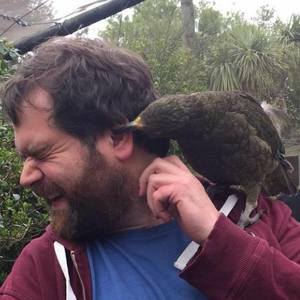 Sam Averis is from Christchurch, New Zealand, where he lives with his wife and daughter. He is a member of the South Island Writers’ Association, and a close-knit online critique group. In addition to several pieces in Flash Frontier since 2015, he has been published in Psychopomp Magazine, Shotgun Honey, and has stories forthcoming in Takahē and Geometry. In 2016 he had two pieces highly commended in the National Flash Fiction Day competition, and studied at Hagley Writers’ Institute where he won the Margaret Mahy award for best portfolio. He posts links to his published stories on his website, and you can get in touch with him on twitter @Sam_Serif. Vaughan Rapatahana commutes between Hong Kong SAR, Philippines and Aotearoa New Zealand. He is widely published across several genres in Māori, English and other languages. Though perhaps best known for his poetry, his bibliography also includes prose fiction, educational material, academic articles, philosophy and language critiques. Māori and Indigenous Review Journal until 2011. He was a semi-finalist in the Proverse Prize for Literature in 2009 and highly commended in the 2013 erbacce poetry prize (from 6000+ entrants). He won the inaugural Proverse Poetry prize in 2016, the same year as his poetry collection Atonement was nominated for a National Book Award in Philippines. His work has also been featured in Best New Zealand Poems 2017 and Bonsai: Best small stories from Aotearoa New Zealand (2018). Vaughan has a PhD in existential philosophy from University of Auckland. More at his New Zealand Book Council page. You can also find him interviewing poets and reviewing new work at jacket2.